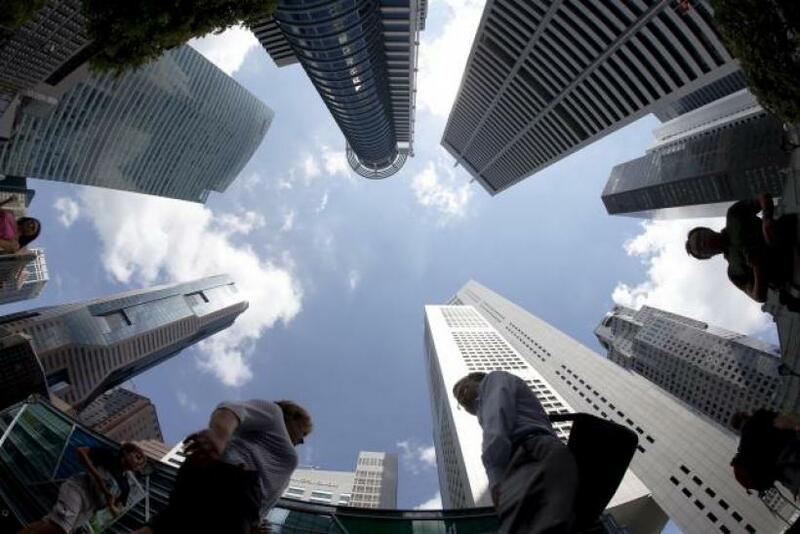 Singapore economy unexpectedly contracted in the second quarter as sluggish global demand knocked the city-state's manufacturing sector, dimming the outlook as growth in key trade partner China continues to cool. Gross domestic product shrank 4.6 percent in the second quarter from the previous three months on an annualised and seasonally adjusted basis, pressured by the manufacturing sector contracting 14 percent on quarter, advance estimates from the Ministry of Trade and Industry (MTI) showed on Tuesday. That was in sharp contrast to a revised 4.2 percent expansion clocked in the first quarter and well below the median forecast of 0.8 percent growth in a Reuters poll. Jonathan Cavenagh, senior FX strategist for Westpac, said the poor GDP reading could stoke expectations for the Monetary Authority of Singapore (MAS) to ease its exchange rate based monetary policy later this year. Since manufacturing tends to be quite volatile, the weak GDP is not necessarily the start of a sharp downtrend in activity, he said. "Still, with an already weak inflation backdrop, a little bit of MAS easing expectation may creep back into the market, so hard not to see USD/SGD higher on the back of this, with the 1.3700 level now a reasonable upside target," Cavenagh said. The Singapore dollar slumped to a one-month low after the weak GDP data, falling to 1.3622 versus the U.S. dollar at one point, its lowest level since June 8. The surprise economic contraction comes amid renewed worries about the global outlook, with Greece's precarious finances threatening a fragile recovery in the euro zone and the recent rout in China's stock market posing risks to already cooling growth in Asia's economic giant. Singapore's manufacturing sector took the brunt of the downturn in the second quarter. The MTI said the contraction in the sector was largely due to a fall in output in the biomedical and transport engineering clusters. The manufacturing sector has been under pressure in recent months, with industrial production in April and May falling more than expected from a year earlier. The government is forecasting the trade-reliant economy to grow 2-4 percent for 2015. "This (data) doesn’t push the (2-4 percent) growth target out of the range. It will be probably be below the midpoint of the range rather than above unless we see export-led manufacturing growth in the third quarter," said Wai Ho Leong, an economist at Barclays in Singapore.